Please join us on Sunday, January 25th as we celebrate our 111th Anniversary and honor those who are celebrating 88+ years of living, as well as those who have served Blaine Memorial as a part of the Tuesday Ladies Group. Following joint worship at 10am, we will gather in the Lee Activity Center and have one of our infamous Blaine Potluck lunches. Please bring your special dish to share, and join us! And if you know someone who is turning 88 years by January 25th, please let the office know. Similar to last year, Blaine Memorial UMC will be participating in the United in Blue Food Drive Challenge against the New England UMC Conference Churches. 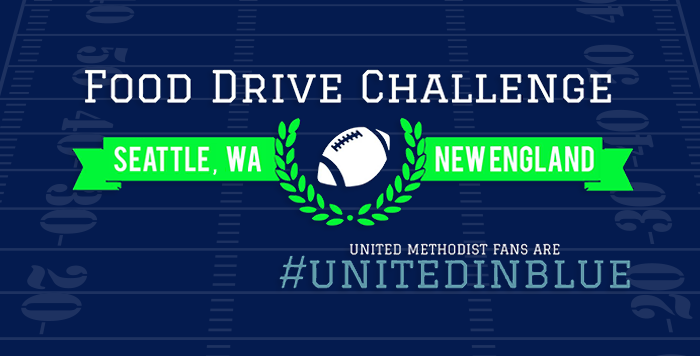 Seattle/Pacific Northwest United Methodist Churches have challenged the New England United Methodist Church Conference to a food drive in anticipation of the upcoming Super Bowl XLIX. Blaine Memorial is participating as well as many other churches in the area. For more information, click UNITED IN BLUE. Food items can be brought to Blaine Memorial Social Hall from Tues-Friday 9-5pm and Sunday at 10:00am. All items must be collected by Sunday, Feb.1. We are collecting for the Asian Counseling Referral Services Food Bank. On Sunday, Feb 1, wear your Seahawks Blue and Green and pose for a picture with all the food items we collect! If you have not turned in your Emergency Contact Information form, please fill it out and bring it to church on Sunday, January 25 (Anniversary Sunday). If you did not pick up a blank form, these will also be available Sunday or you can obtain them in the church office. The Emergency forms are going to be kept private and on file at church and will only be used in the event of a medical emergency. We need one form filled out per person. Thank you for your assistance in caring for our congregation! Questions? 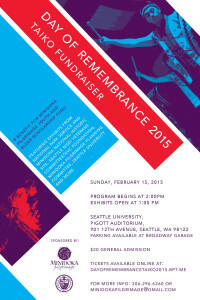 Call the church office at (206) 723-1536 or Pam Yorozu at (206) 910-7103.